Songbird McCain has been a traitor to America his entire life. 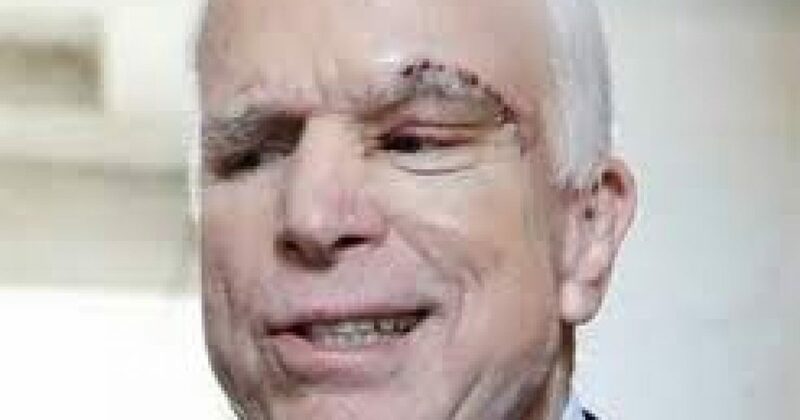 Had it not been for Richard Nixon pardoning all POWs, McCain would have been tried for treason, and would likely still be in a federal prison. Link…. The Not-So-Heroic History of Songbird McCain. McCain (R-Ariz.) blasted President Trump over his pardon of former Maricopa County, Ariz. Sheriff Joe Arpaio, saying it “undermines his claim for the respect of rule of law,” reports MSN. “Mr. Arpaio was found guilty of criminal contempt for continuing to illegally profile Latinos living in Arizona based on their perceived immigration status in violation of a judge’s orders,” McCain said in a statement. The White House announced Trump’s decision to pardon Arpaio on Friday night in a statement. “Throughout his time as Sheriff, Arpaio continued his life’s work of protecting the public from the scourges of crime and illegal immigration,” the White House said. Arpaio was convicted of criminal contempt after he disobeyed a federal judge’s order to stop racially profiling individuals suspected of illegally entering the U.S.
McCain’s counterpart in the Senate, Jeff Flake (R-Ariz.) also criticized Trump’s decision to pardon Arpaio. “Regarding the Arpaio pardon, I would have preferred that the President honor the judicial process and let it take its course,” Flake wrote on Twitter.